Hi, it’s Natalie from Doodlecraft! 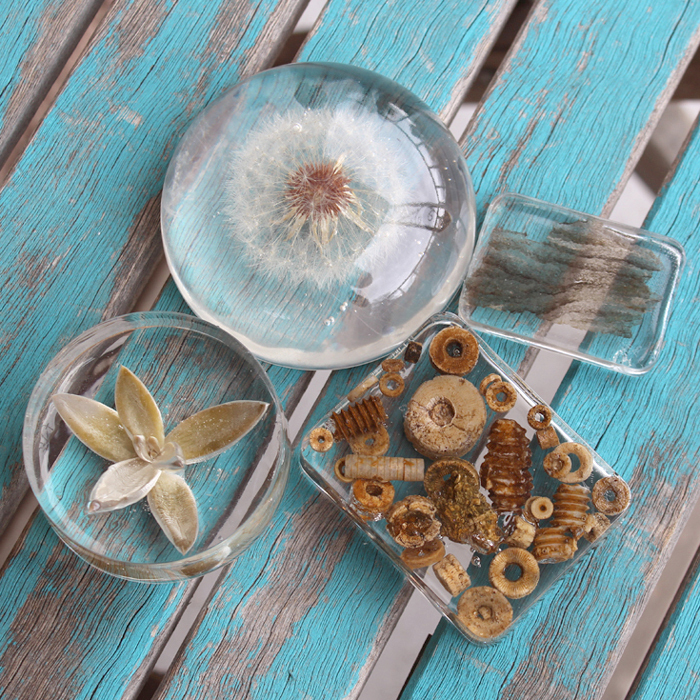 Resin paperweights are so cool and easy to make. They are a great way to make something personal and make a great gift idea. You can embed just about anything in resin. 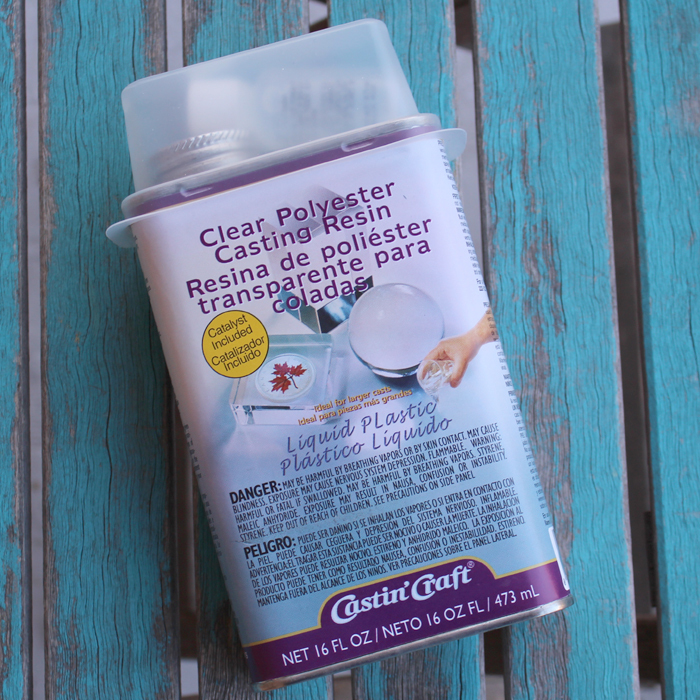 Have you played around with resin yet? This is a great project to start with. 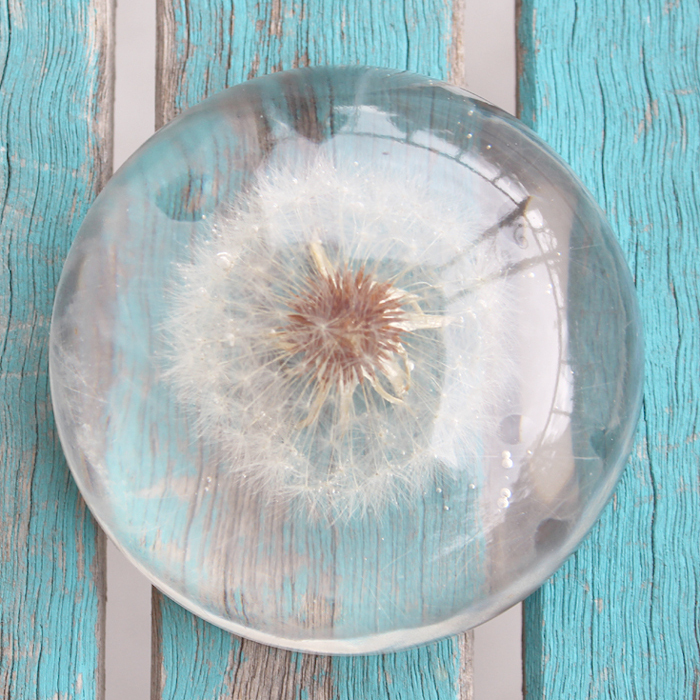 Paperweights are a great conversation piece in any room. Read the resin instructions. Make sure you have everything you need ready to go. Read the instructions again. 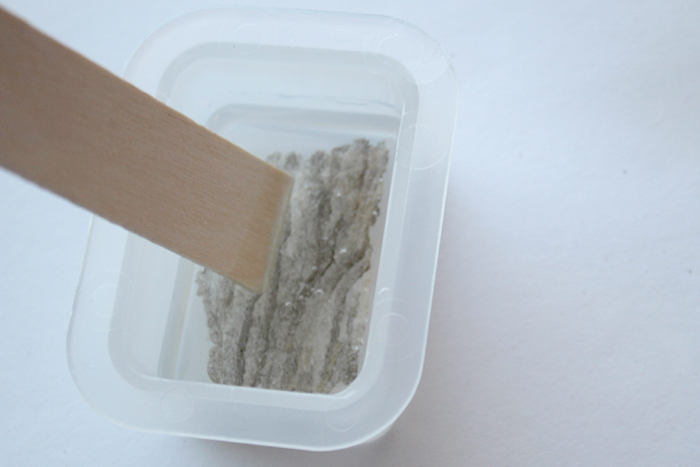 Then mix the resin according to the package directions. Pour about 1/4 inch in each mold and let it set until it reaches a gel like consistency (it took me about an hour or 2). Then gently set the item in the gelled resin face down. You will notice that the fresh vegetation (ie: succulent and dandelion) discolor after hardening. Let the resin sit another couple hours. Then mix up some more resin and pour it over the top to fill the mold. Let it cure for a week or so. Then pop it out and enjoy your paperweights! 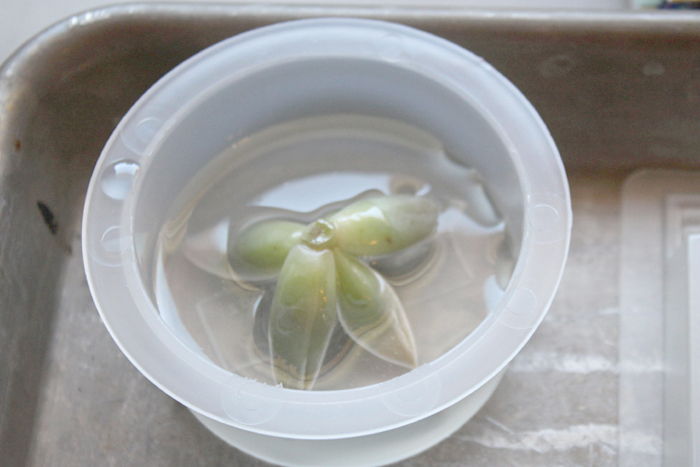 You’ll see the green color of the succulent has reduced. But it’s still really cool! Next I did the same technique with a full dandelion bloom. 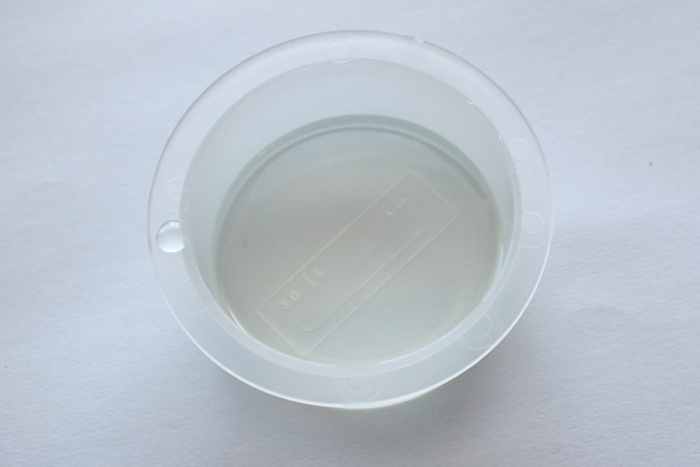 Just gently set it in the gelled resin…and let it sit for a while. 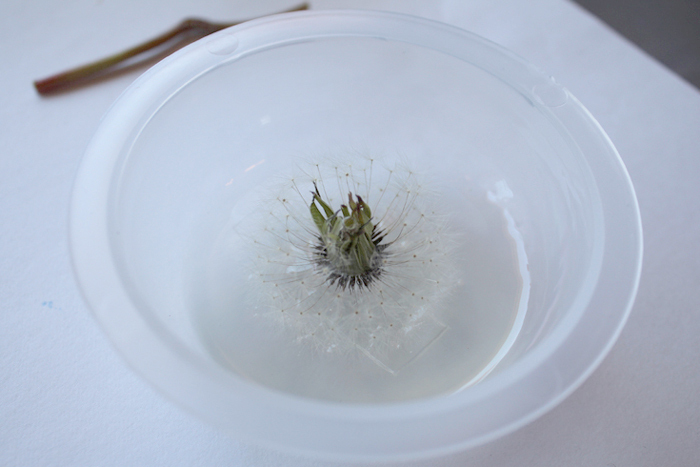 Then fill the mold with more resin to encase the rest of the dandelion. 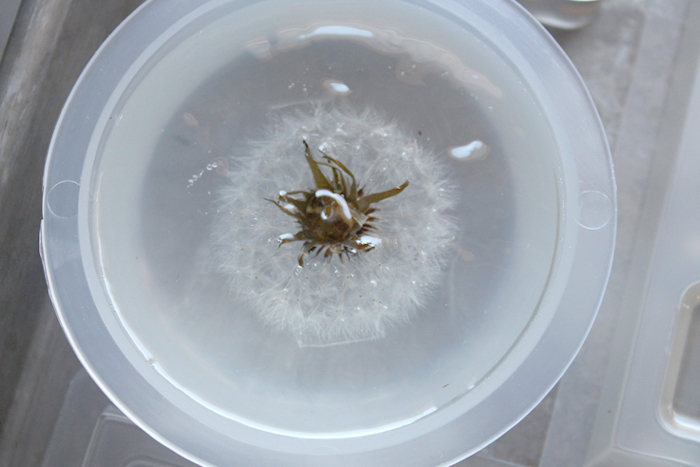 The dandelion held perfectly, just pour the resin in on the side and let it fill in the spaces around the wisps. 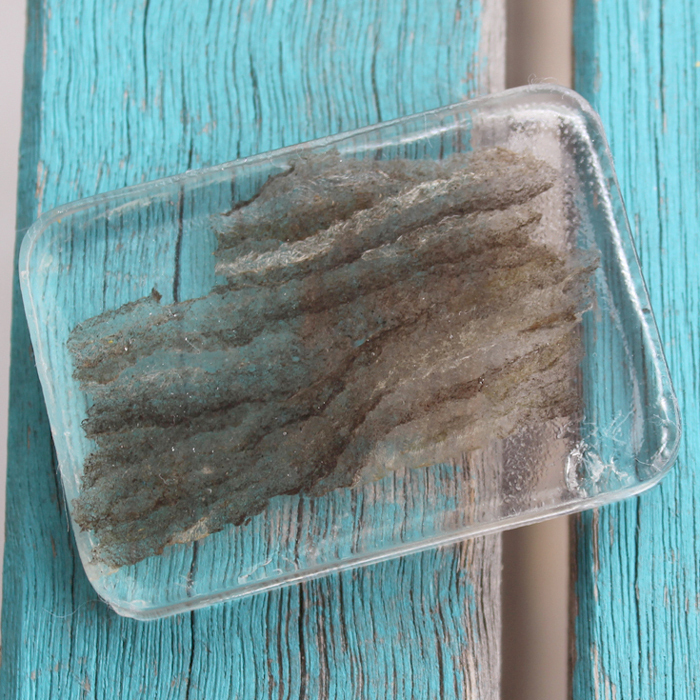 The resin is gentle enough not to ruffle a feather as it fills in around the object. It is so amazing! I love that it is a complete blossom of seeds in there! Next I used some wasp paper… it has the coolest zebra-striped patterns. I filled the mold with about a half inch of resin, slipped a piece of wasp paper right on top and then gently pushed with a stick to get the paper in half way. Let it dry and pop it out! 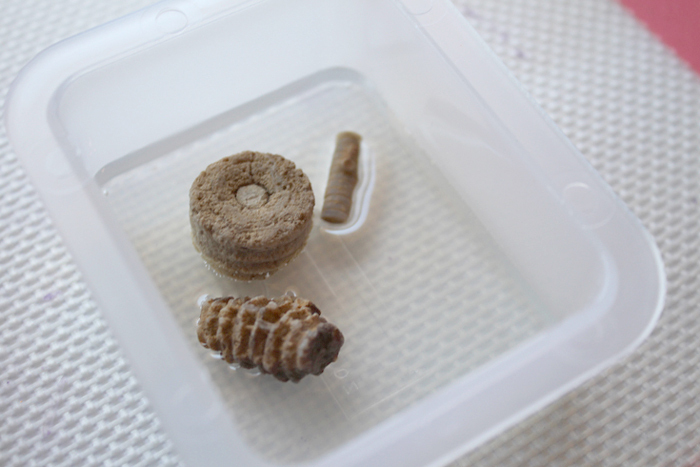 The last one are these cool fossils. 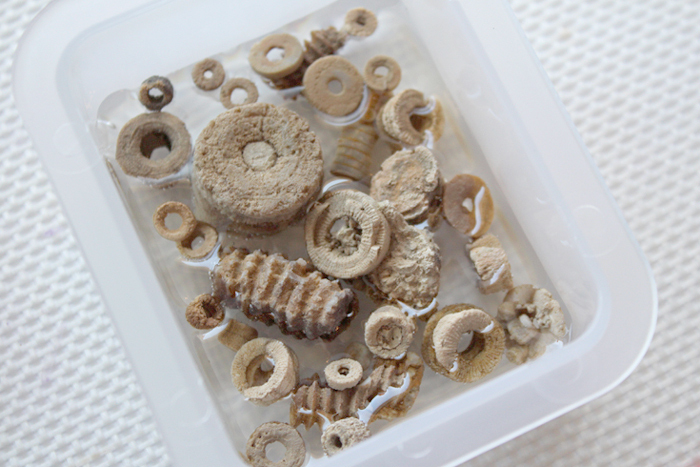 They are called Crinoids…they look like little screws and machine parts, but they are primitive animal, similar to a sea star. I just dropped them in after the resin set to a gel consistency. See how they are just floating on the resin? Perfect. 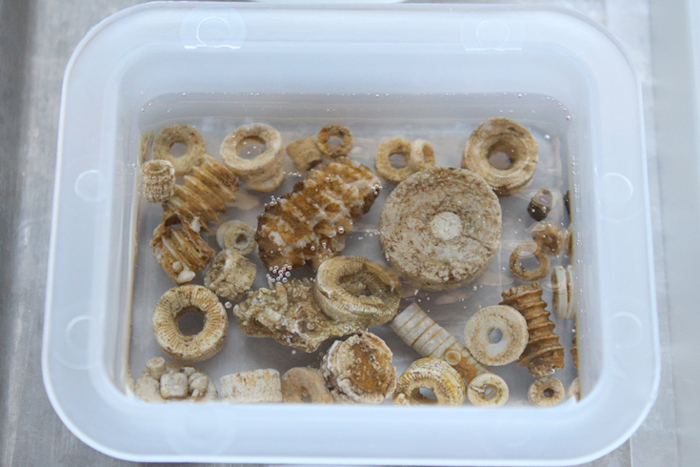 I filled it up; these little tiny fossils are so delicate that it would be easy for them to break, so this is a great solution to enjoy them. After a couple hours, I poured more resin on them to cover them completely. Let them harden completely. A good way to know if they are hard is that they will not smell like resin at all. And trust me, this stuff smells. Work in the garage or well ventilated area. Now enjoy your paperweights! Give them as gifts, encase things that are important to keep. Maybe get crazy and encase baby teeth, your first house key, even candy! Thank you so much for posting this! I’m hoping to give this a try with my first set of flowers that I received from my husband! Where did you buy the bowls and domed shape silicone to make these? Will this technique work for fresh flowers such as a rose? I’m actually working on that exact casting. So far I have had 2 failed attempts because too much air stays trapped between petals during casting, and then releases during curing. When I get it ironed out, I’ll have a new post on resincraftsblog.com. Thanks! 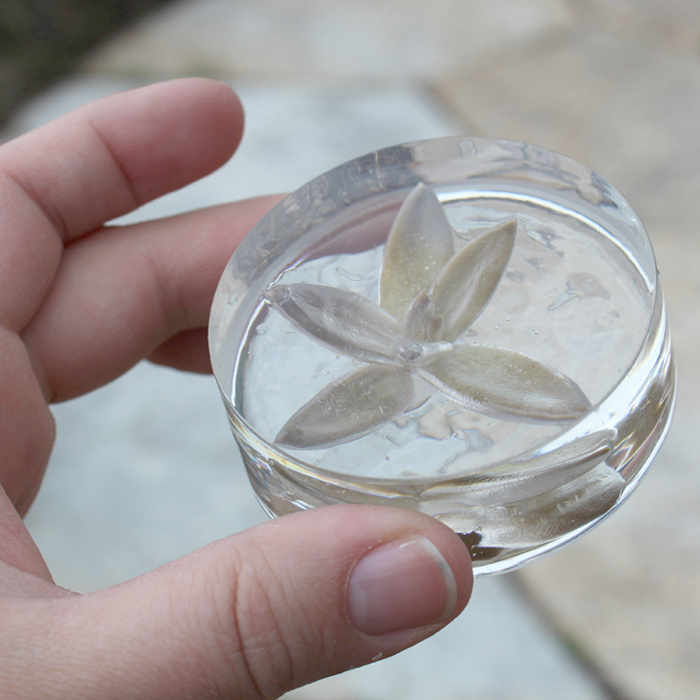 Is it possible to use silk flowers or pieces of paper in the resin? Yes, both those things should work. Flowers are a bit tricky, just work in thin layers to get the resin between the petals. This has been so helpful as I am wanting to do this for an activity with a group of friends, but none of us have done it before. 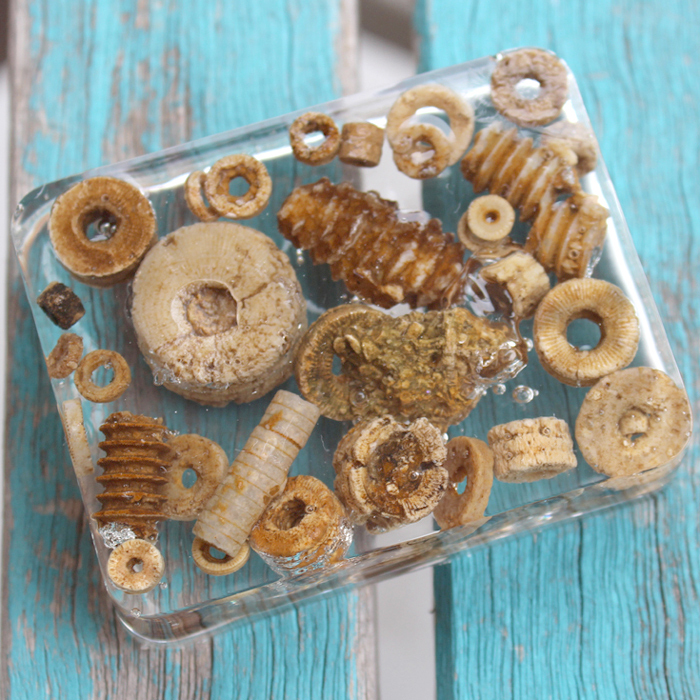 I could find the molds for sale with pictures of what you could make but no info on what resin to buy. Thank you so much. I’m new to resin casting but want to cast a small pieces of a fire ant mound to use for a presentation. My fear is that the lump of dirt will fall apart as it’s basicall held together with ant spit. Any experience or or ideas would be greatly appreciated. 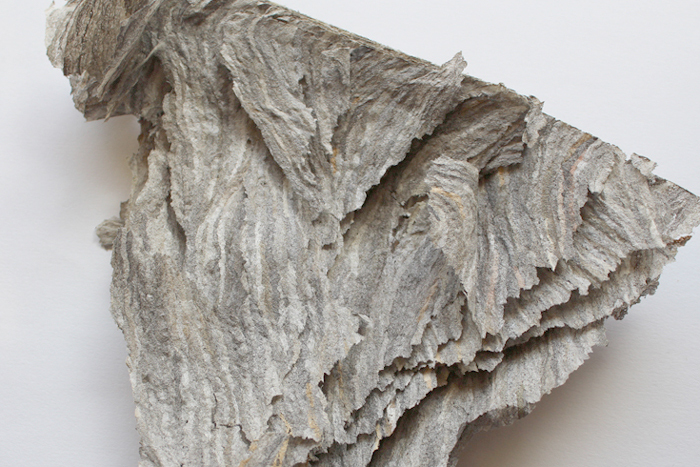 I don’t want to preserve the negative space by filling with molten aluminum. 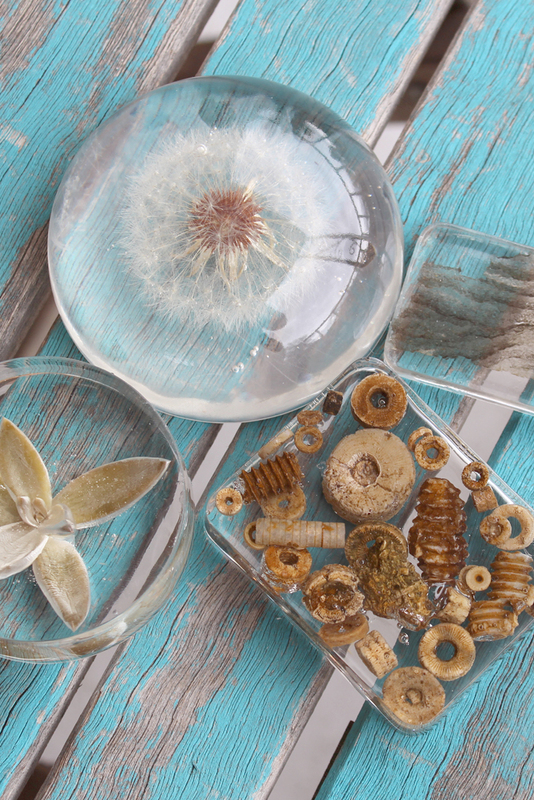 Resin is surprisingly gentle and can hold a delicate dandelion blossom together…so I am thinking it would probably work just fine with a fire ant mound. Test a small piece and see if it works!